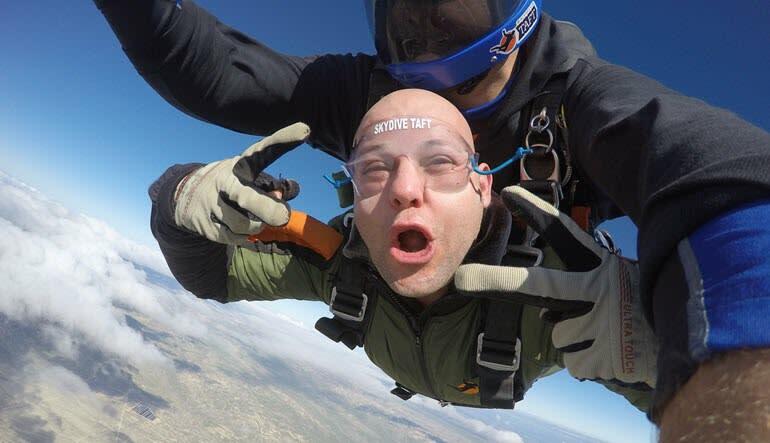 Skydiving is an experience unlike any other. 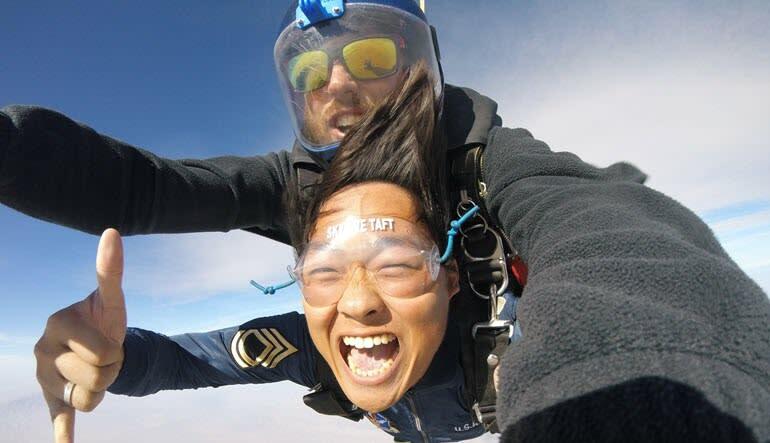 The thrill of free falling thousands of feet is a feeling you will remember for the rest of your life. 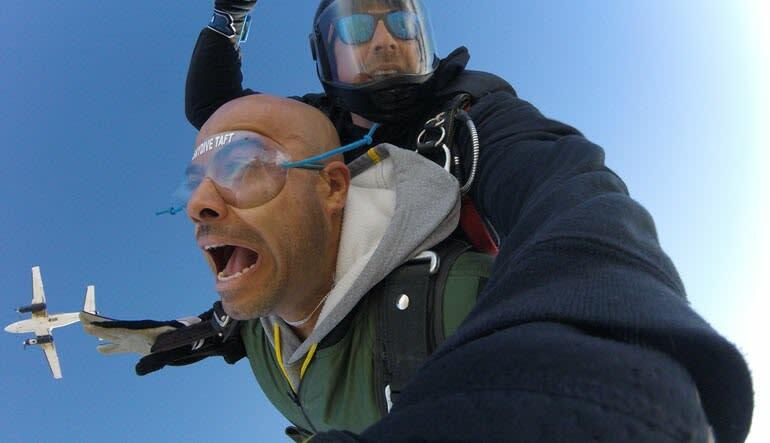 Even with all the insane emotion and excitement attached with skydiving it is also an extremely safe and easy experience; especially during a tandem skydive with one of our professional instructors who will make sure you have the experience of a lifetime! During the briefing session at the jump facility you and your tandem pro skydiving instructor will rehearse a few different techniques that will ensure your safety and knowledge of how to properly jump. The ground training session will also cover all methods of canopy control and safe landing actions. 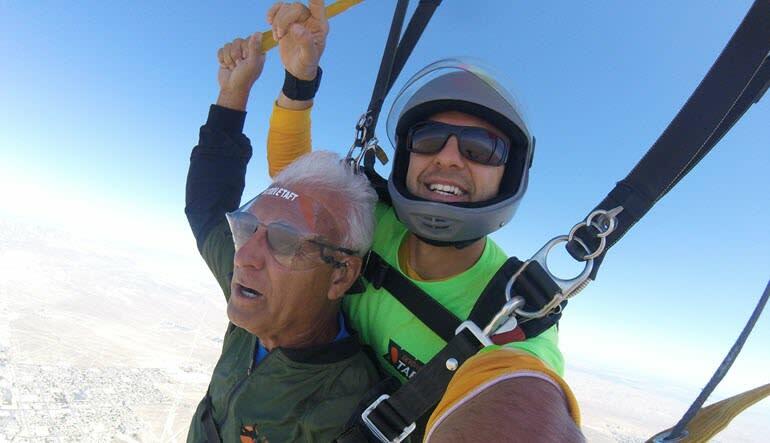 As soon as your instructor is confident that you are capable of jumping safely it is time for the 15 minute flight to an altitude of 9,000ft. After a final check it is time to take the quick way down. An experience you will be telling all your friends about!